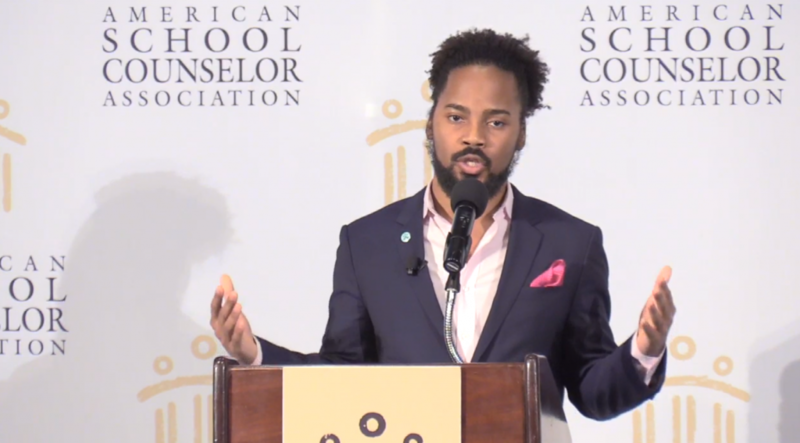 Congratulations to NACAC member Brian Coleman, the 2019 School Counselor of the Year. Coleman, a school counselor and counseling department chair at Jones College Prep in Chicago, IL, has worked to make sure his school takes a holistic approach to counseling. Coleman was honored by Jill Biden at a ceremony Friday in Washington, DC. “It can be so hard to be a teenager. We’ve all been there. It can be so hard to know where you fit in and where you fit in to your community, especially as you plan your future. But Brian gives his students confidence in their abilities. He helps them find the best in themselves, and he pushes them to reach higher,” Biden said. Learn more about Coleman and watch a livestream from the SCOY award ceremony.